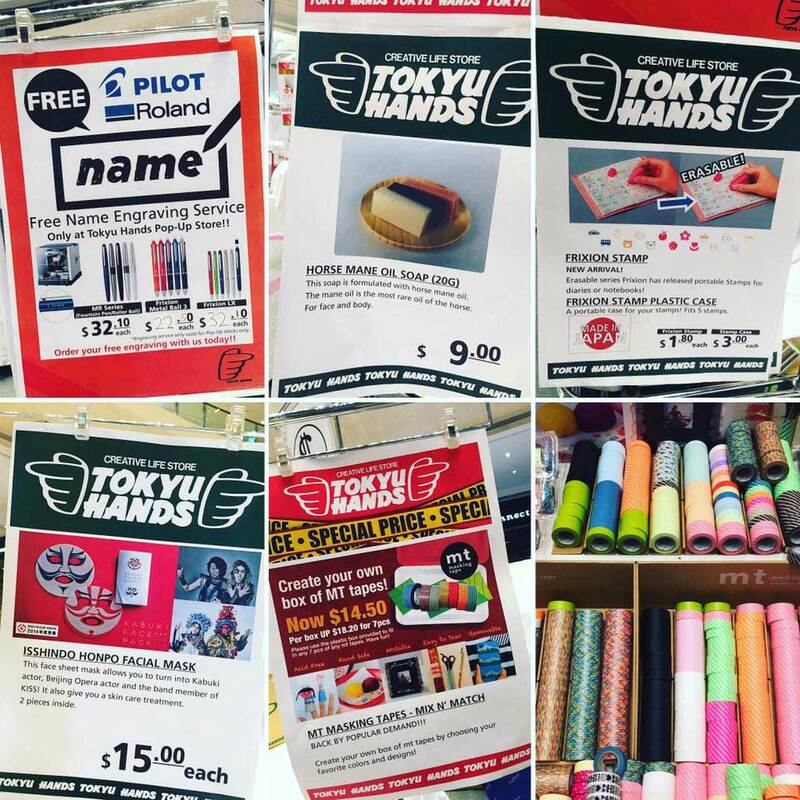 From 23rd March to 3rd April 2016, Suntec City brings together Uniqlo and TOKYU HANDS – two iconic Japanese brands in fashion and lifestyle – into one common space. 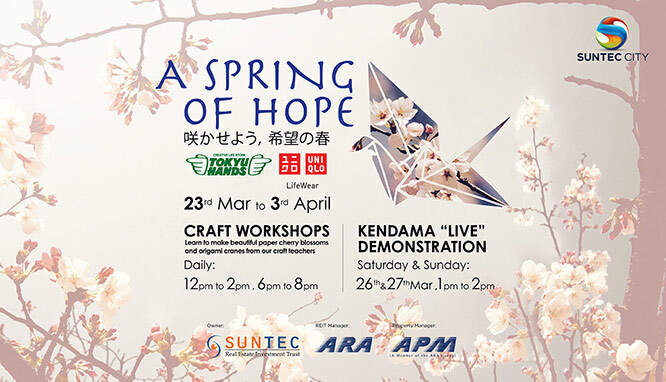 Titled ‘A Spring of Hope’, the shopping event serves up a curated selection of new fashion styles and lifestyle items along with best-sellers from Uniqlo and TOKYU HANDS. The 2016 collection from Uniqlo’s popular AIRism line. 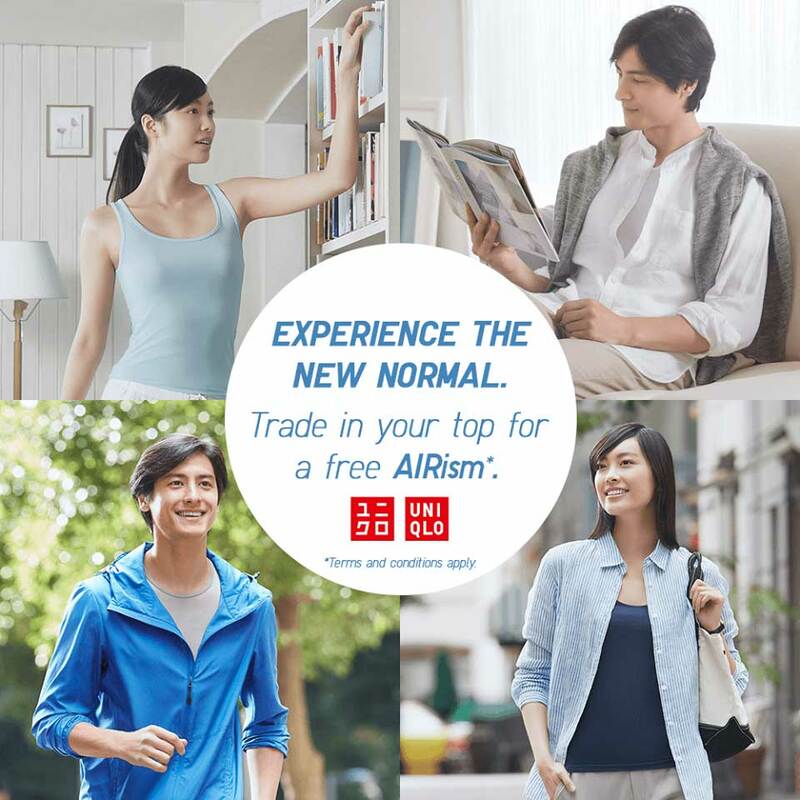 Uniqlo will be giving away an AIRism top to the first 100 shoppers daily who present a top that makes them feel ‘cool’. You can also trade in your old top for a new AIRism top! The sensational ‘Fuchico-on-the-cup’ dolls and accessories, including a big-sized Fuchico panel that shoppers can pose with, to morph into a Fuchico. The new line of Horse oil cream from TOKYO HANDS. Suntec City’s shoppers will receive freshly-squeezed horse mane oil for free. *while stocks last. Kendama workshops presented by TOKYU HANDS with the Kendama Club En, a Singapore-based Kendama club. Free craft workshops conducted by famed local craft-maker and floral artisan, Shop Wonderland.